Can Deer Velvet Really Help With Impotence Issues or is it a Scam? 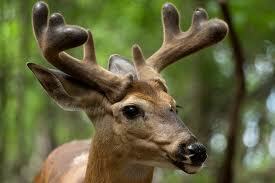 Is Deer Velvet a Real Impotence Treatment? The idea of taking deer antler velvet, which is exactly what it sounds like, the velvet from the antlers of male deer, might be a little strange. However, this supplement has been used for centuries to treat a wide range types of sexual dysfunction, and it may be an effective supplement for those looking for a natural way to alleviate the symptoms of erectile dysfunction (ED). Deer velvet is a primary source of the buck's sexual prowess, and purportedly it can help men with their prowess as well. Taking the supplement regularly has been shown to increase testosterone levels in men, which can help with several different types of male sexual dysfunction. This is because it contains insulin like growth factor 1 (IGF 1), which is a natural growth hormone. Your body makes this hormone naturally while you're growing, but levels decrease as you get older. Low testosterone levels cause problems like lack of sexual desire, fatigue that further decreases desire and even difficulty getting and maintaining an erection. When sexual dysfunction is caused by low testosterone, raising testosterone levels with a supplement like deer antler velvet may be all it takes to relieve impotence symptoms. Who's a Candidate For This Supplement? Deer velvet may be especially effective in men who have just started to experience low testosterone levels and the symptoms this creates, as well as in men whose testosterone levels are only marginally low. It is safe to use, particularly in men. It can be useful in treating menopausal symptoms in women, but may not be safe for women with hormone sensitive conditions like breast cancer, ovarian cancer or uterine cancer, since it raises estrogen levels. Deer velvet typically comes in spray or tablet/capsule form, and can be purchased from most health food stores and online. Dosage recommendations say to spritz the substance in your mouth two or three times per day, or take a daily supplement. The taste is relatively benign. As with other natural supplements for impotence such as CoQ10, yohimbe, maca and others, deer antler won't alleviate ED symptoms for every man. For many men, the condition is directly related to clogged arteries, which also lead to heart disease, or to some other chronic illness. For this reason, it's a good idea to talk to your doctor about your impotence before you begin taking deer velvet, or any other supplement to alleviate symptoms. However, if your ED is caused by low testosterone, this supplement may be a low cost, natural way to alleviate your symptoms, without worrying about side effects. Have you had any experience with deer antler velvet sprays or pills? tell us about it and we'll share it (anonymously of course) with our visitors!